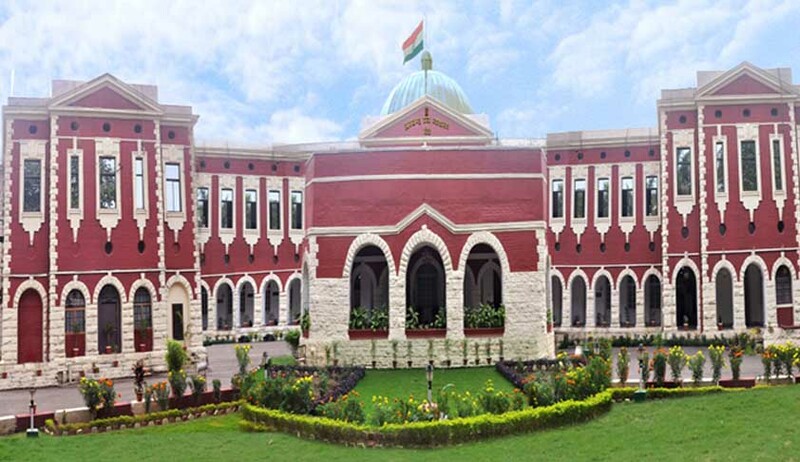 Jharkhand High Court has referred to Division bench, to answer a question whether in an anticipatory bail application preferred under section 438 Cr.P.C., the Court can look into the legality or otherwise of issuance of process under section 82 Cr.P.C. Reference was sought by the Single Bench of Jharkhand High Court in Kumar Anubhav Vs. State of Jharkhand wherein the petitioner has been made an accused for an offence punishable under section 498A of the Indian Penal Code and Sections 3 and 4 of the Dowry Prohibition Act. An anticipatory bail application was preferred by the petitioner in High Court on 9.9.2015 and on the same date itself, the process under section 82 Cr.P.C. was issued. Section 82 of Code of Criminal procedure says that If any Court has reason to believe (whether after taking evidence or not) that any person against whom a warrant has been issued by it has absconded or is concealing himself so that such warrant cannot be executed, such Court may publish a written proclamation requiring him to appear at a specified place and at a specified time not less than thirty days from the date of publishing such proclamation. Sub-Section (2) and (3) of this section describes the procedure to be followed in proclamation. The court observed that there are two conflicting decisions by High Court as regard to the question whether anticipatory bail application, the Court can look into the legality or otherwise of issuance of process under section 82 Cr.P.C. In Mahendra Kumar Ruiya Vs. State of Jharkhand & Anr, reported in 2013 3 JLJR 407, it was held that a person against whom proclamation under Section 82 Cr. P.C. has been issued is not entitled to the relief of anticipatory bail but, proper compliance of Section 82 is very much essential. But in Sheikh Anwar @ Sk. Anwar Vs. State of Jharkhand reported in 2014 (4) JLJR, it was held that if anyone is declared as an absconder/proclaimed offender in terms of Section 82 of the Code, he is not entitled to the relief of anticipatory bail. In Mahendra Kumar case, the court had opined “strict compliance of sub-section (3) of Section 82 Cr. P.C. is very much required for declaring any accused as absconder. I would further like to explain that Section 82 Cr. P.C. has mainly three parts. As per first part of the Section it is well settled that issuance of warrant is condition precedent for issuance of process of proclamation under Section 82 of the Code. The Court must be satisfied that it has reason to believe that the accused has been absconding or concealing himself so that such warrant cannot be executed. Second part suggest as to how proclamation has to be given effect or published to make the accused acquaint that his appearance is required in connection with particular case before a particular Court. The third part as indicated under sub-section (4) of Section 82 of the Cr. P.C. gives more discretion to make inquiry against an accused who has committed offence indicated under sub- section (4). After recording reasons the Court can declare an accused of such offence as proclaimed offender”. The Court said that there is a conflict of opinion with regard to this issue and it would be desirable that the matter be heard by the Division Bench.